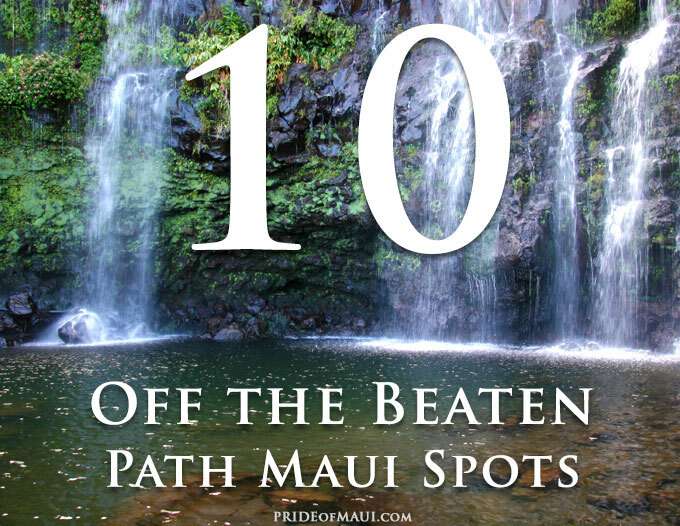 Maui’s Top 10 Off the Beaten Path things to do is a handful of Maui’s best little known secrets. While visiting the incredible Island of Maui, make sure to take advantage of every option that’s easily available to you. 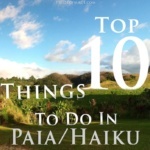 Plan ahead of time and book activities, tours and vacation services on Maui. Set aside some time for new experiences so that you can customize your best vacation yet. 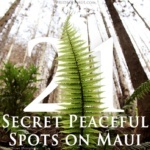 Make your next vacation in Hawaii the best, and enjoy all the special nooks and crannies that Maui has to offer. With the current and valuable insider’s knowledge that this article provides, trek off the beaten path and explore paradise to its fullest. Enjoy creating noteworthy vacation memories that will inspire you for years to come. ONO Organic Farms of Maui is certified by the Hawaii Organic Farmers Association (HOFA), and a partner of the Natural Resources Conservation Service, (NRCS). Ono Farms is family owned and cultivates a huge selection of rare tropical fruits and vegetables, chocolate, and Hawaiian coffee. Located right off the Hana Highway in Kipahulu, this Maui gem offers a huge value to the Island of Maui; farm fresh deliveries to homes and businesses, work-study programs, farm consultation services, and a Fruit Tasting Tour for visitors. On your next trip to Maui, plan ahead of time and reserve your spot in their tropical Fruit Tasting Tour, Mondays-Fridays at 1:30 pm. Here, visitors can have a truly unique afternoon sampling 10-12 ‘ono’ (delicious in Hawaiian) tropical fruits, and “ono-licious” Arabica estate coffee. Visitors will receive a short education in organic farming, and get the rare chance to experience a guided tour through one of Hawaii’s best organic farms. For more information about ONO Organic Farms in Maui, please visit www.onofarms.com. To reserve your place for a Fruit Tasting Tour during your next vacation, please email info@onofarms.com or call (808) 248-7779. Located up Piiholo Road on the slopes of Mt. Haleakala, lies a true Maui gem; a sweet and precious private spa and retreat center. The Hale Ho’omana Spa is Hawaiian owned and operated, and specializes in organic spa treatments, ancient Hawaiian healing therapies and spa products. Ho’omana translates to “empowered” in the ancient Hawaiian language, and that is exactly how guests feel post-treatment at this uniquely private Maui spa. A handful of the most popular spa treatments at the Ho’omana Spa are Traditional Lomi Lomi Massage, Ancient Hawaiian Bodywork, Hawaiian Herbal Facials, and Hot Stone Therapy. For massage therapists, you can deepen your knowledge with Lomi Lomi Instruction and Hawaiian Healing Programs offered throughout the year. In addition to providing luxurious spa treatments, the Ho’omana Spa also offers Workshops & Classes, Cultural Activities, and Maui Eco Tours. For more information about spa treatments at the Hale Ho’omana Spa and Retreat center, please visit their website here. 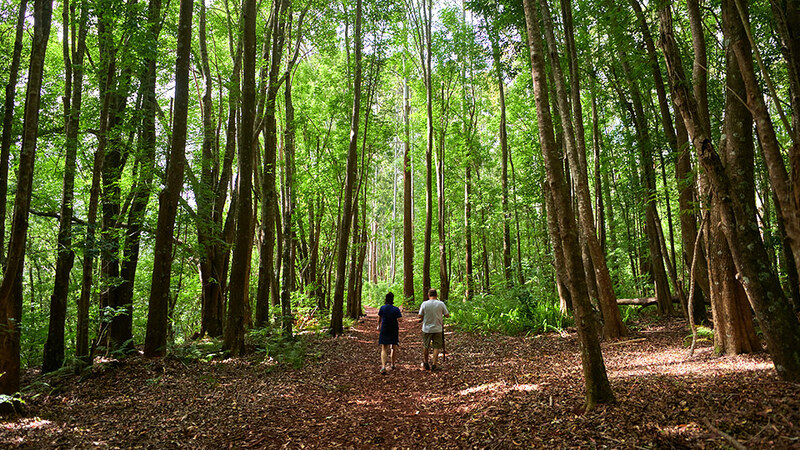 Visit Maui’s enchanted Makawao Forest for a calm walk through woods, an adventurous hike through nature, or a sensational bike ride in Hawaii. When hiking or biking on Maui, all participants are gifted with a truly sensational experience, especially when journeying through the Kahakapao Trail. This forest offers a genuine outdoor vacation experience for everyone and is located at the very top of Piiholo Road. The 5.2-mile Kahakapao Loop provides picnic tables on both the East and West sides of the trail, making it easy to pack a lunch, stop, rest and enjoy the breathtaking scenery. 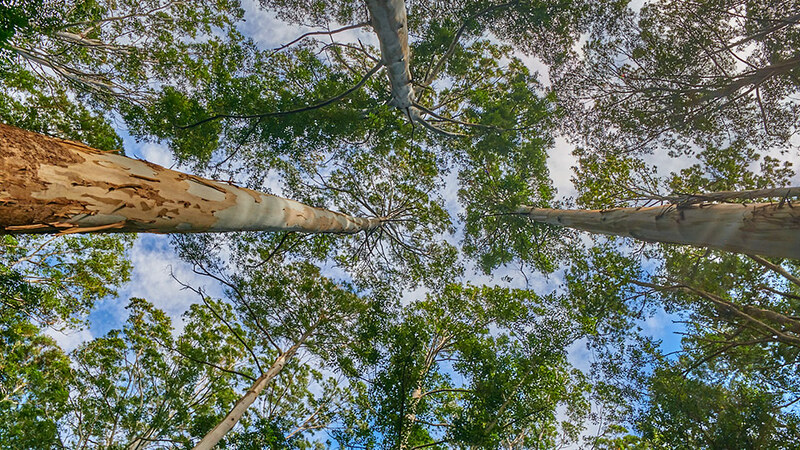 Throughout the Makawao Forest, see wild Koa, young Redwoods, Cook Pines, Eucalyptus varieties, Rasberry bushes, and sweet fragrant Ginger plants. The temperature at this elevation is cooler than at sea level, allowing for a calm and comfortable morning or afternoon. After this fun adventure in Upcountry Maui, travel to Makawao Town, a historically infamous Maui Paniolo (cowboy) Town. Here, guests can stroll the area shopping at a selection of ‘singular’ Maui boutiques and galleries, and dine at delicious restaurants like the Makawao Steak House and Market Fresh Bistro. 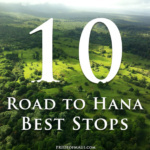 For more information about directions to the Makawao Forest, please visit https://www.alltrails.com/. Paako Cove, also known as Secret Beach in Makena, is one of the most beautiful beaches in all of Hawaii. In fact, it is seldom visited, but the most popularly photographed beach in all of Hawaii. When exploring the South Side of Maui, travel towards Makena Beach and park at the 3rd (last) entrance. Beach access is accessed through two black lava rock walls; where you will find that heaven awaits you. The ocean here is protected and mostly calm, but please obey all high surf posting and warnings. Paako Cove offers one of the most fabulous snorkeling experiences in Maui, during the early morning and mid-day. Here, visitors and guests alike can see beautiful reef formations, colorful tropical fish, and vibrant seabeds. Throughout the day, it is common to see people Body Boarding and Skim Boarding just off from the cove. This not only makes Secret Beach one of the most fascinating and intimate beaches in Maui but also one that provides an amazing visual display of Maui’s best water athletes. When venturing to the North Shore of Maui, make sure to check out the historical Town of Paia. Once upon a time, this area was mainly an agri-town centered around Hawaiian sugarcane business. Now, Paia is a funky little bohemian beach village full of an exceptional collection of boutiques, art galleries, surf shops and restaurants. Located up Baldwin Avenue, visitors should definitely seek out the Maui Dharma Center. The Dharma Center in Paia pays homage to Tibetan Buddhism and community enrichment. The ‘Great Paia Lha Bab Peace Stupa’ is dedicated to the late Lama Tenzin, who was the first resident teacher of the Maui Dharma Center. The Paia Stupa was completed in 2007 and blessed by His Holiness the Dalai Lama before 500 invited guests of the community. The Stupa was built in the traditions of Tibetan Buddhist architecture, with interior walls displaying the innate beauty and colorful vibrancies of Buddhist deities. Travelers from all around the world have visited the Paia Stupa to ring the bell and to immerse themselves within this symbol of peace and love. The Kaupo Store is situated along Highway 31 on Maui, right at mile marker 35, a Historical Maui Landmark. Originally opened by merchant Nicholas Soon in 1925, the Kaupo Store was your typical country-style Hawaiian general store. It was one of the only places on the map of the coastal fishing village of Kaupo. Here, is where nearby residents and farmers could buy supplies and make catalog orders. Today, the Kaupo Store embodies a true sense of ‘Old Hawaii’ nostalgia and is one of the few remaining Hawaiian-style mom-and-pop businesses. Family owned and operated, this off-the-grid store provides the much-needed refreshments, snacks and locally made arts and crafts for road-trippers, and a chance to be immersed in one of Maui’s most gorgeous landscapes. At this Maui gem, visitors also have a rare chance to take a step back into time and view a collection of antique collectibles from the turn of the century; collections of antique cameras, tools, household items, and Kaupo Store’s infamous crank-style cash register. Owners Linda and Manny Domen, have made the Kaupo Store their personal mission of historical preservation. Hawaii residents and visitors are appreciative of their success, and their place in the Upcountry community. This old-time Maui favorite is a charming rest-stop liken to an oasis when venturing to and from Hana and East Maui locales. The Sacred Garden of Maliko is a sweet Maui gem, a perfectly peaceful Hawaiian hideaway. Operated by the Divine Nature Alliance 501(c) 3 Charity, this location offers guests an invaluable vacation experience on Maui. Upon entering the Sacred Garden of Maliko, visitors can simply unwind and relax into an environment built upon cherishing Hawaiian flora and fauna. One of the missions of the Sacred Garden is to provide a place of rest for all people, open to all beliefs and faiths. The 2-level renovated greenhouse is abundant with gorgeous Hawaiian plant and tropical flower species. While walking through the greenhouse aisles, guests will be instantly mesmerized by each little decorative detail; strategically placed spiritual icons and positive messages throughout. The Buddha Garden is garnished by a Buddha statue carved from a Monkeypod Tree and offers a quaint space for quiet time, meditation and small workshops. As if this space isn’t already topping out on majestic vibes, guests are then invited to walk both their classical indoor 7-circuit Coral Labyrinth or the outdoor 11-circuit Medieval-style Labyrinth. When visiting the Sacred Garden of Maliko, definitely check out their gift shop, it is stocked full of locally made artwork, jewelry, books, healing stones, and special Maui gifts. For more information about the Sacred Garden of Maliko, please visit The Sacred Garden Maui. The Hui No’eau Maui Visual Arts Center is located in Upcountry Maui. It is a wonderful arts organization offering space for arts and cultural studies in Maui. 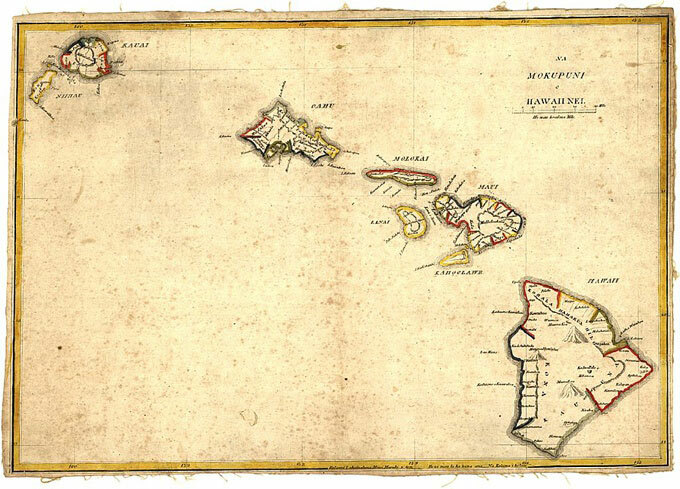 The site location is a historic Hawaiian estate with deep roots in Maui’s colonial past. Founder, Ethel Baldwin, commissioned the “Kaluanui Estate” building project with C.W. Dickey, and it was completed in 1917. The original main house and carriage house has been converted into art studios, classrooms and exhibition galleries. The surrounding property is beautifully landscaped with tropical varieties and outdoor art installations. Offering year-round classes and workshops by Maui resident and visiting teachers, the Hui is a true value to the Maui community. 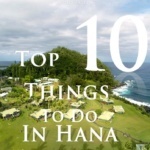 Seek out arts and culture at the Hui No’eau during your next vacation in Maui. Plan ahead and register for art classes, or contact them for a schedule of upcoming events and art openings. Just off Highway 30 in West Maui resides a spectacular natural wonder called the Nakalele Blowhole. The blowhole is a result of a deteriorating shoreline below a lava shelf, where each wave of water is pushed into a hole in the lava creating a geyser-like occurrence. This is a great Maui gem to visit while taking a scenic tour of West Maui, driving North of Kapalua towards Wailuku. There are 2 hiking trails that access the Nakalele Blowhole, one that begins from a gravel parking lot near mile marker 38, and the second past mile marker 38 noted by a red dirt pullout on the side of the road. Each hike is approximately 30 minutes to the Nakalele Blowhole, but it is possible to see the blowhole from the 2nd hike entrance marked by a light beacon. It is highly suggested that hikers use extreme caution, be conscious of rogue wave conditions, and wear proper footwear to safely travel through the rocky terrain. During your next vacation in Maui, maximize on all activities possible, and savor out the unique coastal beauty of the most beautiful island in the world. For more information about the Nakalele Blowhole, please click here.